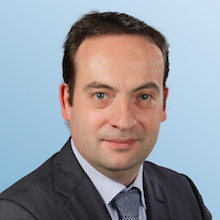 François-Joseph Van Audenhove is a Partner based in Arthur D. Little's Brussels office. François-Joseph is part of the Strategy & Organization practice and responsible for our Global Competence Center in Rail and Urban Transport. He also heads the Future of Urban Mobility (FUM) Lab, our think tank on mobility, and is a recognized key speaker on mobility topics. François-Joseph specializes in the management of complex strategic and organizational transformation programs, serving clients across several industries on topics ranging from strategy development and implementation, strategic positioning, commercial offering redesign, value-based risk management, performance improvement to strategic competence management.